- When I was younger every so often one of the hut croo kids would come flying by us while hauling 40 plus lbs of food and equipment to the huts which I thought was incredible. My dad would then tell me something that a few of them do that was even more incredible, hiking the hut system in under 24 hours, starting at Carter Notch Hut then over to Madison Springs - Lakes of the Clouds - Mizpah Spring - Zealand Falls - Galehead - Greenleaf - and ending at Lonesome Lake. - Most people start at midnight and try to complete it in one calendar day, but with a full moon and a forecast of clear skies overnight I thought it would be awesome to start in the afternoon and hit Madison Springs Hut at sunset and then enjoy a full moon traverse above treeline in the Presidential Range. - Joining me on this long hike was Alton and we started out slowly walking to the Carter Notch Hut to save our energy before we "officially" began the traverse. 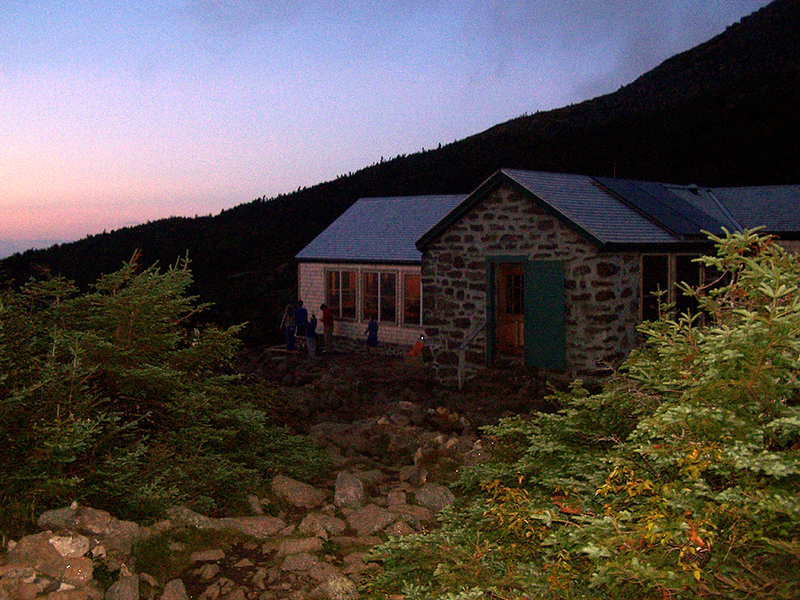 The Nineteen-Mile Brook Trail was buzzing with hikers heading up to the hut to spend the night. - We arrived at the hut around 3:15 pm relaxed for a few minutes and left at 3:30pm back to Route 16. 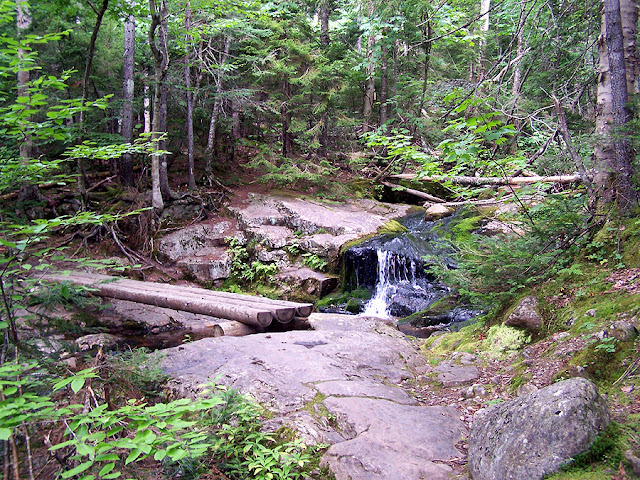 It was easy hiking and my knee and ankle issue from MMD was not a problem as we made good time back to the trailhead and then quickly walked up the road to the Great Gulf Trail. We ran into a few hikers on the Great Gulf Trail around the wilderness boundary all heading back to their cars after a day out hiking. 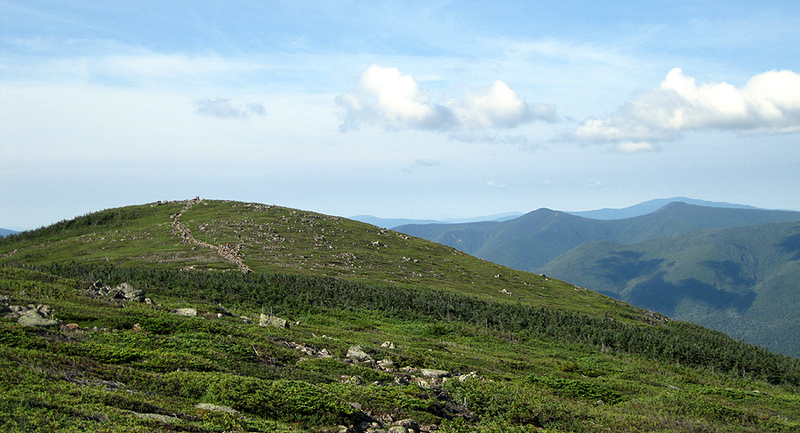 - Next we turned onto the Osgood Trail and headed up to the southeast ridge of Mount Madison. We were making great time, passed a few thru-hikers heading to the Osgood tent site, and all was well except the clearing forecast wasn't clearing as the summits were socked in. - We broke above treeline and the wind (constant 20+ mph) hit us pretty hard, so we went from hiking in t-shirts to long sleeves, wind breaker, hat, gloves. We were in the clear but above 5,000 feet was still blanketed with clouds and fog and it just would not clear. Luckily the cloud cover wasn't lowering so we had no issues as we reached Osgood Junction and hooked onto the Parapet Trail and views below us and over to the Moriah-Carter-Wildcat Range were great. - Up until this point we were averaging just under three miles an hour, but the Parapet slowed us down a little bit as Alton does not like the rock hopping of the Presidential Range. - We arrived at Madison Spring Hut at 8pm and took a break to warm up and eat before it was back into the wind across the range. - I kept hoping the weather would clear up as below us in the valley everything was clear but luck was not on our side, when we ascended past the trail junction for the Airline visibility became a real issue, with and without the headlamps, it was night-time now but when I turned on my headlamp it bounced off the fog and made it impossible to see the next cairn so I had mine off, Alton kept hers on hiking behind me which showed just enough light beneath my feet so I could see where to step but didn't block out anything in front of me so I could locate the next cairn. I wasn't too worried to Thunderstorm Junction because that part of the trail is a sidewalk and only had trouble finding one or two cairns. 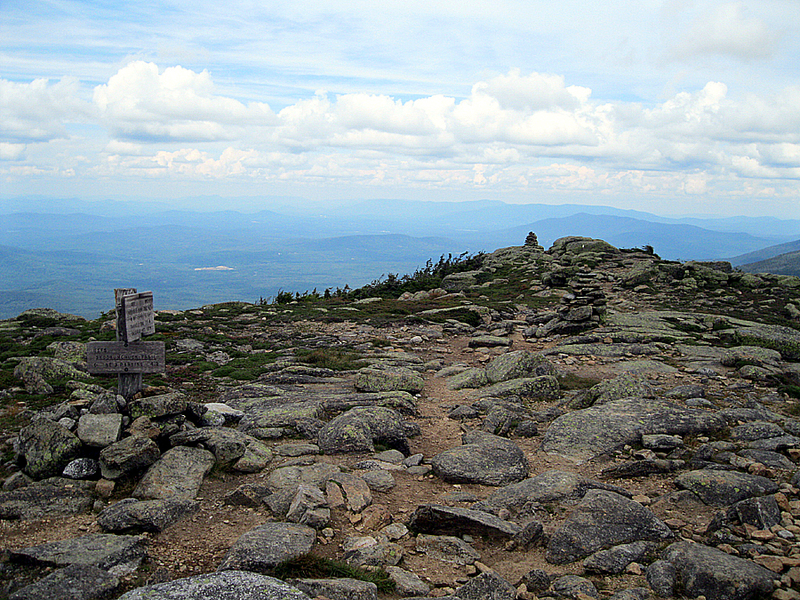 - At Thunderstorm Junction I just needed to get us past the first couple of cairns heading towards Mount Jefferson. I know this section extremely well, however Alton has very limited experience up here on the rocks in low visibility so I made sure to point us in the right direction even though her pace slowed tremendously. - We slowly made our towards Edmands Col losing our footing on numerous occasions over slippery rocks while hiking cairn to cairn but staying on the trail the whole time. Right before we dropped down the last section into Edmands Col everything cleared off for about five minutes and it was an incredible site as the full moon lit up the rocks and the summit cone of Mount Jefferson with the stars behind it in the sky. - As we hit Edmands Col and started to climb we were stuck back in the clouds and patchy fog all the way to just before Lakes of the Clouds. It took us 3 hour and 30 minutes to get to Lakes of the Clouds from Madison Springs Hut, it was now 11:30pm, if the weather was better I think we could have blazed though this section in under 3 hours but those are the breaks! - We stopped in at Lakes to de/relayer and warm up before heading out, we had to be extra quiet and watch where we stepped as there were about a half dozen thru-hikers on the floor. 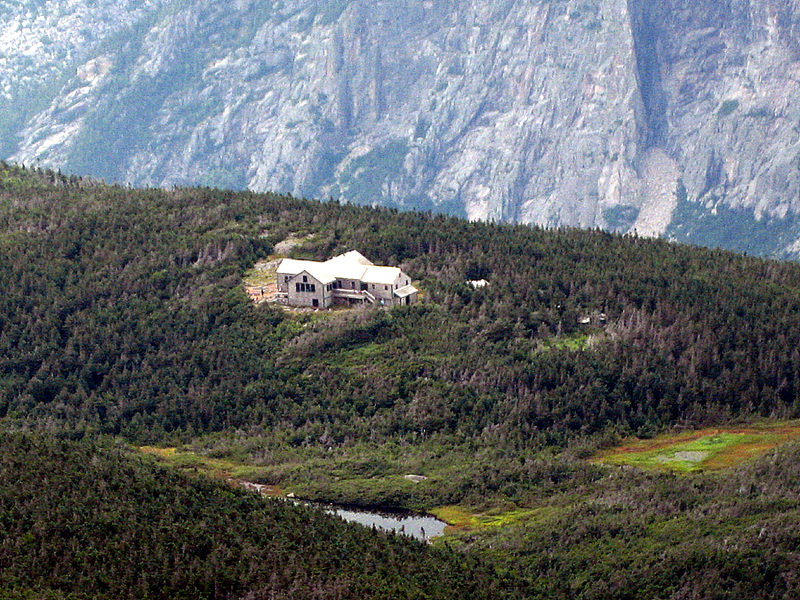 - Now it was onto Mizpah Hut, as we hiked around Mount Monroe my knee started to act up, it wasn't too bad so I still was not worried. - Closing in on Mount Franklin everything finally cleared off for good and the hiking was phenomenal under the full moon. Between Franklin and Pierce we ran into a couple of hikers enjoying the now great weather heading up to Washington. 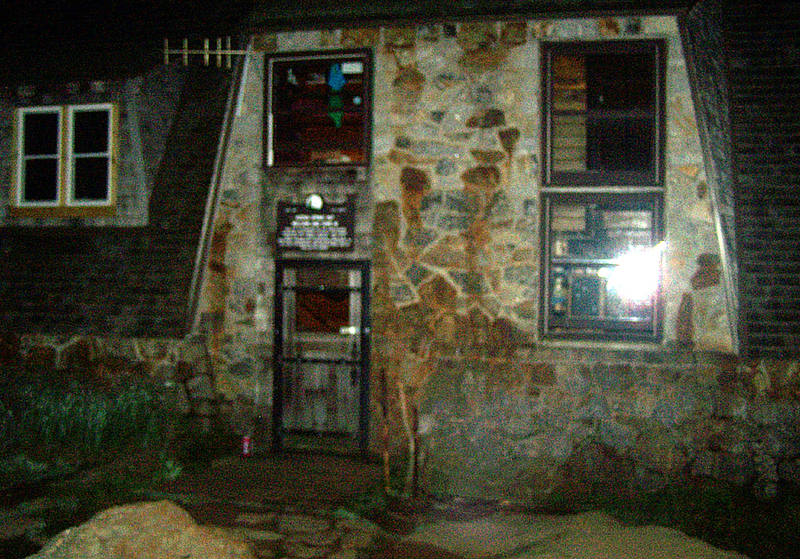 - Unfortunately our time over to Mizpah Spring Hut and down to the Highland Center was slower than what I had hopped for and Alton didn't seem to be having as much fun as me, she really doesn't like the footing in the Presi's and seemed out of it from lack of sleep. It took us 11:40 hours to get to the Highland Center (3:10am). We entered the Highland Center where a lonely AMC worker was vacuuming and washing the floors. He let us into the gear room to grab a pack we had stashed with food and clothes. We ditched our wet clothes, changed into dry ones, ate some food and took a half hour break. - We made our way over to the Avalon Trail to begin phase two of our hike, which is more difficult than the first part, although the footing would be much better there would be more elevation gain and the PUD's (pointless up and downs) on the Garfield Ridge Trail! - Hiking up the Avalon and A-Z Trail my ACL and MCL problem finally failed, every so often out of nowhere I'd take a step and a sharp pain would shoot through them and it would become so weak that I had to take all pressure off my knee, I'd then rub the area for about a half minute and continue on. It would happen about every five to ten minutes for the next hour and I have know idea when it would happen. To make things worse my bizarre ankle injury from running down the Polecat Ski Trail during the MMD was creeping back when descending. - We were still making ok time until we both bonked descending into Zealand Valley. I felt light-headed but was able to quickly recover after stopping for a minute and eating more food. Alton said her vision was bothering her and she still seemed to be going through the motions. I started to worry that she wasn't going to be ok and we took a break at the Zealand Trail junction. - I told her let's head to the hut, I'll check the shuttle schedule, and she can relax and take a nap if she wanted to and decide what to do depending on how she feels. - We reached Zealand Falls Hut at 6:30am, I checked the shuttle schedule and we both relaxed on the outside steps and chatted it up with the over-nighters before they went in for breakfast. Alton said she wasn't a quitter and said she'd feel better once she knew where she was and was back on familiar trails. - It was just before seven before we took off up the Twinway. At this point the under 24 hours for me was almost out of the question because of my two nagging injuries but as I looked around me I didn't feel bad because the weather was absolutely perfect and there would be great views of the Pemi Wilderness along the way. - At the Bondcliff / Twinway Trail junction we enjoyed the views before heading over to South Twin where there were even better views. Alton finally seemed to snap out of her funk as she told me she now knew where she was and where she was going and then proceeded to want to head over to North Twin! - We arrived at Galehead Hut at 11AM and took a break and enjoyed the yummy chocolate fudge squares they had before hooking onto the dreaded Garfield Ridge Trail. - The Garfield Ridge Trail was the same as it every was, in the woods, no views until the north shoulder of Mount Lafayette, up and and downs and brutal! 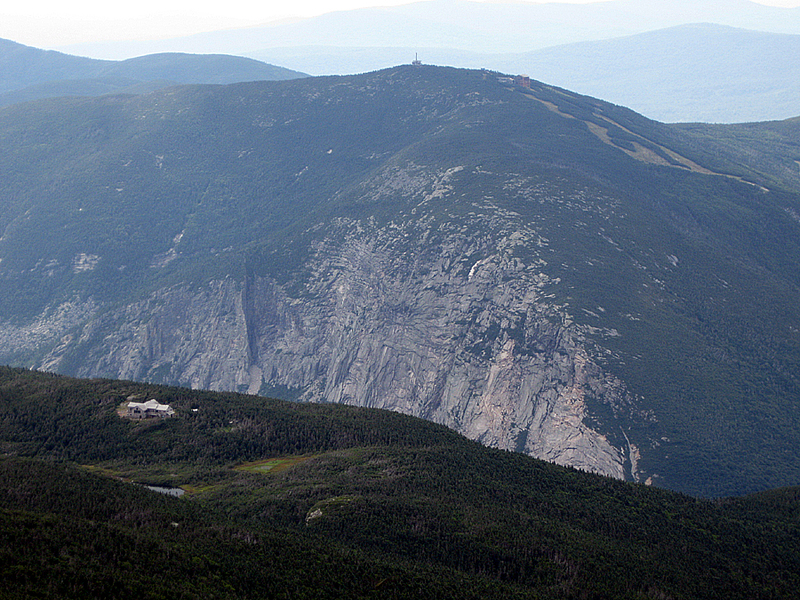 We didn't see as many people as I thought we would as we made our way over to Mount Garfield. - Somewhere shortly after the Franconia Brook Trail Junction Alton just took off and I didn't see her again. I tried to catch up but my leg would fail and I'd fall to the ground. I made it up to Garfield and from there I took my time making sure to put less pressure on the leg that kept failing so I could get through the rest of the hike up to Mount Lafayette. - From Lafayette to the Greenleaf Hut there were tons of people hiking up and down and lots of dogs, one was a giant poodle that had stylish booties on, they looked like doggy trail runners! 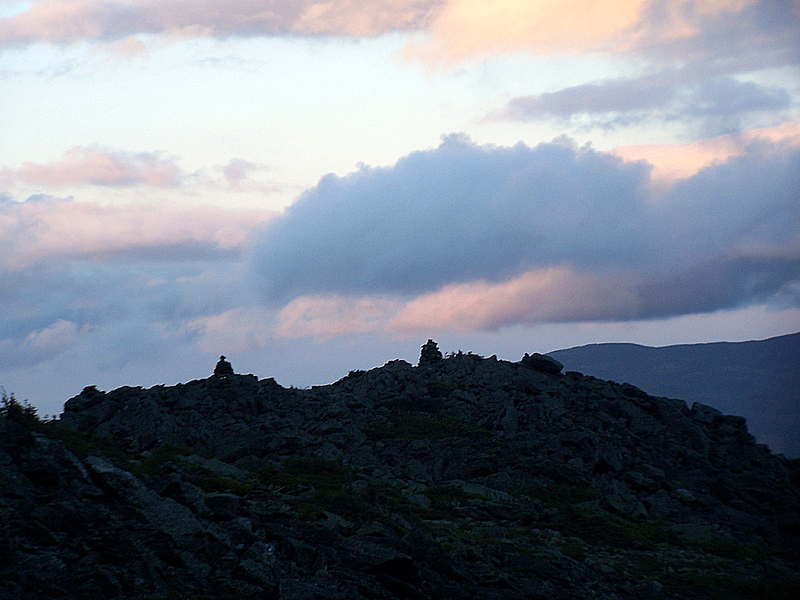 - I reached the hut at 4pm and was back down at the lot just after 5:30pm. I was hoping to head up to Lonesome Lake Hut but Alton had already gotten back from there and was waiting for me, she finished 3 minutes shy of 25 hours around 4:30PM. Congrats on completing the H2H on your first effort! - Even though I didn't complete the hike, I was happy that the weather for the second portion of the hike turned out great, and it was pretty awesome hiking the hut system. Unfortunately, because of the nagging injuries, I could not make up lost time for the slow pace through the presi's and the unexpected stops. - I will definitely try again next year but I'll make sure that I am 100% before going into the hike, hopefully a little R&R will heal my MMD pains and I'll be back to my normal hiking self for September! Finish or not you're still a Super Hiker to me! What a bummer! What you did finish was great and I'm sure if you were in top form you'd have easily finished. I hope you heal up and can be back on the trails soon. Thanks for the kind words everyone, glad you guys like the trip report and pics...can't wait to get back to 100% and get back out there and enjoy the views and the trails! Hi Lori, yup that was definitely me becuase I was at the summit sometime shortly after that passing by another couple of hikers some going up with a dog and another coming down with a dog just below the summit! Hope you had a fun hike, it was the perfect day to be up there!